Happy Tuesday! Can you believe this is the last month of July? 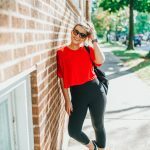 I would ask where this summer has gone, but with 4th of July, a quick trip to San Francisco, and a big move… it makes sense that July has flown by! August is another jam packed month, but I’m hoping I can savor it just a little bit more. I think it will be easier with the porch at our new place – Adam and I have already enjoyed 3 dinners outside, and we’ve only lived here for a week! That’s a good start, right?! But moving on to fitness! July is notoriously a hard month for me to stay on track, so throwing a move into the mix only made it harder. But all things considered, I feel pretty good about what I was able to accomplish! And thanks to my August Workout Planner and a fridge stocked with healthy food, I’m ready to kick off this next month on the right foot. Last month, I wanted to complete 14 workouts in July and challenge myself to go to solidcore more. I definitely got to more of those classes, but I didn’t quite reach 14 workouts. That being said, if I count my 2 mile walk up and down the steep San Francisco hills, and another long walk through Chicago, I would have hit that goal! Moving took WAY more out of me than I anticipated! I thought I could work out in the morning and still come back to pack leading up to my move, but I ended up needing pretty much every free minute I could spare those last few days. A prime example of “life happens”! I completed 12 workouts, which I’m proud of. There was a lot going on this month! I went to solidcore 6 times this month – 2 more times than I went in June! I’m seriously so sad that I moved farther away from this studio, because I know that will deter me from going as much as I’d like to. Luckily, their social media revealed that they’re opening another studio in Boystown/Lakeview… eeee! If you’ve never heard of solidcore, or if you have any questions about it, I’m going to have a whole blog post about it within the next few weeks. Feel free to leave a comment on this post if you want me to include anything in particular! I only made it to FlyFIT once this month, which is a bummer! Ideally, I’d like to get down there at least 3 times a month, because it’s such an awesome workout! In case you missed it, I describe the class format in last month’s fitness recap. Highly recommend trying it out! I only got on the bike twice this month – but both were killer classes! I also found out that two of my favorite teachers (Taylor and Glenn!) are teaching their new format called Tempo. This spin class will combine both interval and endurance training, as well as total body movements (think more pushups and tap backs) – and, of course, fun music 🙂 Have any of you tried it yet?! I went to both Flybarre and Arms & Abs once last month. Definitely not as much as I’d like to – but it’s always fun when I get there! 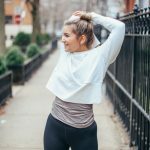 I actually mentioned the Froyo To Fitness workout plan in June’s fitness recap, and I picked up one of her workouts again this month! Every single one isn’t ideal for a living room workout, but some of them are PERFECT for a quick sweat sesh at home, especially when you’re busy. Okay, I know I said I technically don’t count these, but have you ever walked around San Francisco?! Holy MOLY, those hills are no joke! I also had my overnight bag flung over my shoulder, so that increased my resistance ? Figure out a new workout routine. Now that I moved farther north in the city, I know I won’t want to/be able to take the train to all of these classes every day anymore. I’m pretty confident I’ll still do it a few times a week (because I genuinely love them), but I am going to need to find new ways to exercise within walking distance of my new place. I have a whole list of yoga studios I want to try, and I’m also considering going back to a typical gym membership. I definitely prefer a class environment, but getting back to a gym setting could be fun! It would definitely be a challenge for me to be in charge of motivating myself… but I think I could do it! Come up with a fitness plan for Finland. Oh yeah, we’re going to Finland this month!! Wooooo! I’m not one to work out on vacation, but since we have a flexible schedule in Finland, I think I can come up with something. Even if it’s just a quick 10 minute arms/ab series to do in the mornings before walking around all day! Something super simple that doesn’t take away from our vacation, but still holds me accountable. Any suggestions? 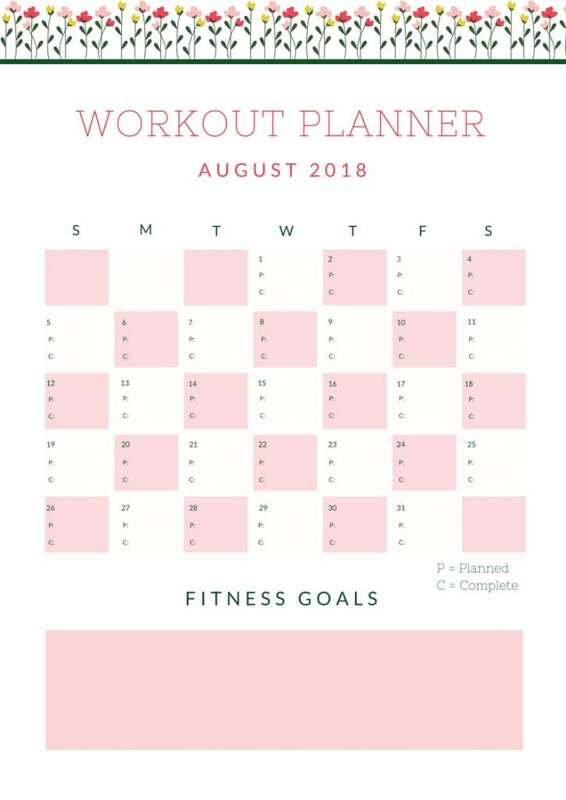 What are your fitness goals for August? 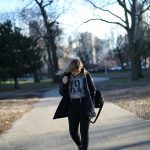 When I moved to North Center/Roscoe Village, finding a new fitness groove was definitely a challenge. Unfortunately there are very few ClassPass gyms nearby. But there’s a great CorePower on Lawrence and a few other local yoga studios on Lincoln (Coconuts and… Spring Yoga? Maybe?). I Love Kickboxing was a great workout as well (Western), but they’re kindof pushy with sales and don’t offer drop-ins. There’s an OTF right on Lincoln Square. 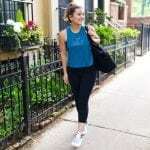 Ultimately, I ended up joining LSAC – I liked the regularity of knowing all my classes would be nearby, and that I could do classes or regular gym time. I’ve been combining outdoor runs with classes at CAC, and using Aaptiv for instructor-led workouts when I don’t want to go to a class (awesome app if you haven’t tried it yet!). I’ve been thinking about joining LSAC for those same reasons! Do you like any particular classes there? LOVE Solidcore! I just moved to East Lakeview. Do you know where the new studio is going to be? No sure of the exact address – but somewhere on Broadway!